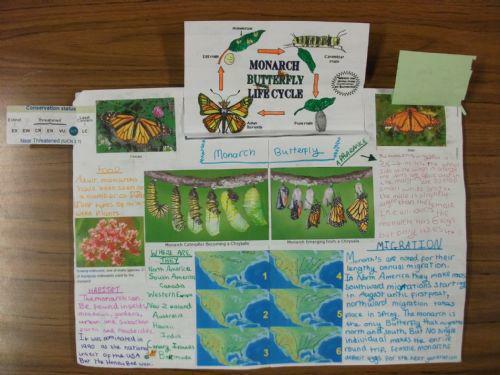 As part of our Hot and Cold topic this term, we have been learning about how animals and humans have adapted to live in extreme temperatures and climate zones. Animals have adapted over millions of years but humans rely on their inventions and technology to survive. So, we thought we would ask the experts about how they survive in extreme heat without dying. When we visited the firestation, the fire officers showed us the firekit they use to stay alive in a fire. The most important part of the kit is the breathing apparatus, as it allows them to breathe cool, fresh air. They told us that just one breath of smoke could kill a person instantly in a fire! The suits they wear insulate them from the heat, but also trap their own body heat so they do get rather warm! We watched a video of the suit being set on fire but amazingly it didn't burn at all. A brilliant invention! So far this term we have been busy learning how to tell and write stories. Here we are retelling the story of The Billy Goats Gruff, with actions to help us remember the patterns of the language. Mrs. Edge was helping us to learn all the actions. 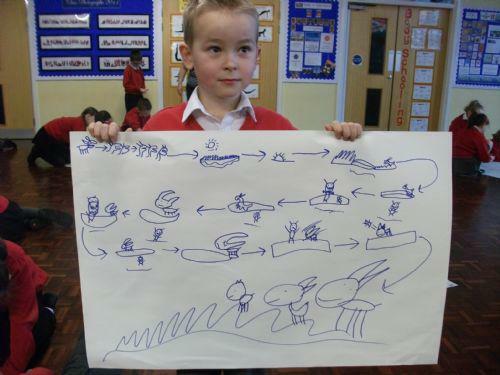 We soon got the hang of that and began to draw a story map to help us remember how the story flows. And, we acted out still photographs from different scenes in the story. Can you work out which part we are showing? 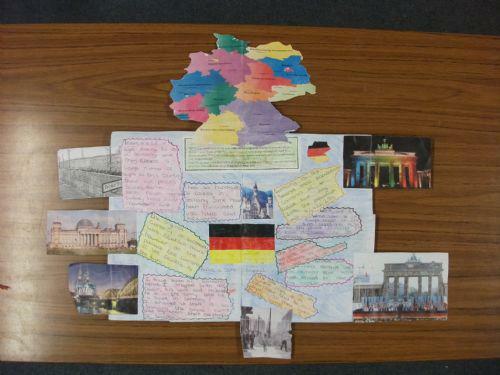 It was all great fun and we can still remember all the details, the vocabulary and the language patterns! Now we are going to try doing this to rememebr the story of The Lion, Witch and the Wardrobe, by CS Lewis, as this is the book we are studying this term. 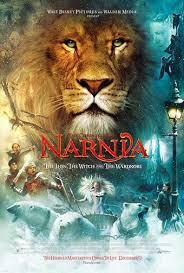 Here is some of the artwork year 4 have done to recreate Narnia! Isn't it impressive?! The children used this to roleplay scenes from the novel. Great fun. 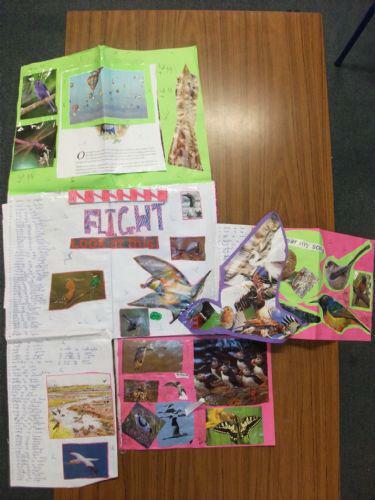 We've had a fantastic term and a much of our focus has been on our topic of 'flight'. 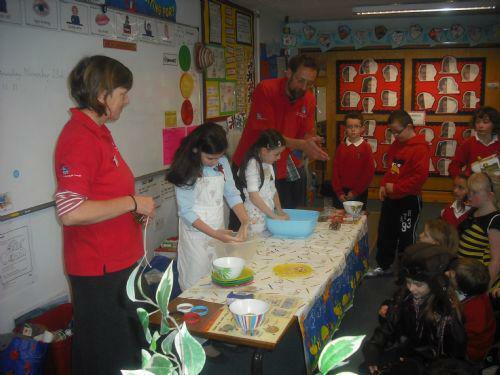 The children have got actively involved in many activities we've had lined up during the term. 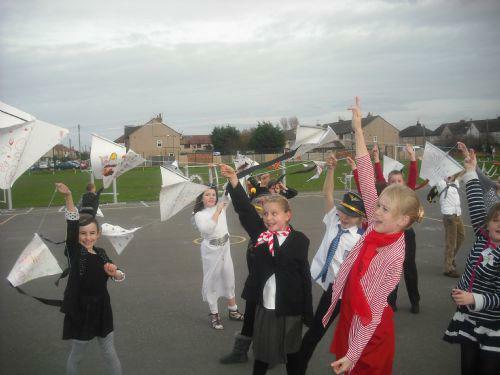 One of which was Flight day, where the children dressed up in different examples of 'flight'. We had Bumble bees, lady birds, bats (including myself), birds, flight attendants and many, many more. We were fortunate enough to welcome two speakers from Conwy RSPB to teach the children about migration and the work of the RSPB. 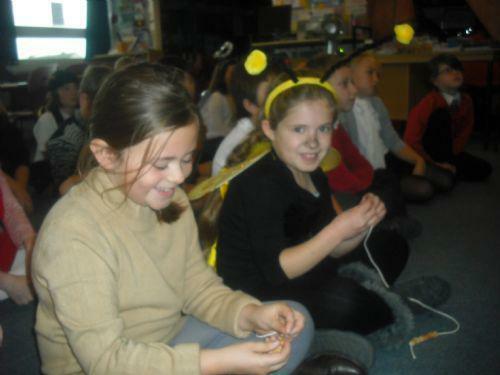 Aimee and Ella used Cheerios and placed them on strings. Yes, birds like their breakfast too!! Later on in the day, the children made kites. This was a fantastic opportunity to use our creative and design skills to make a kite that successfully flies!